Are you living an eco-friendly lifestyle in Oklahoma? Do you enjoy writing, making videos, or editing? We have a couple of great opportunities for you to join our team. Articles should around 300- 1000 words. If your topic needs more we will still consider it but this is a good length for most articles. Please check your work, spell check is your friend! We love pictures with our articles but please be sure to credit them correctly. Also if you use information from another site is must be credited. Use quotes and link back to the original article. If we find that you are plagiarizing we will not accept future articles from you. While your article will remain your property, we do ask that you please not post it anywhere else. If we find it posted on another site we will remove it. If you have a personal site feel free to quote part of the article and use a link back to the site for your readers to find the full article. We may edit your article. If there are any big changes we will let you know before posting. With your article please include a short bio and if possible a photo of yourself. If you have your own website feel free to include a link. If you have an article you think would be good for the site submit it to gogreenokla@gmail.com. Want to join our team? As a regular contributor you will get a bio on our “About Us” page. This is also a great opportunity to meet new people and get involved in helping our state. We ask that our regular contributors write at least one article per month. 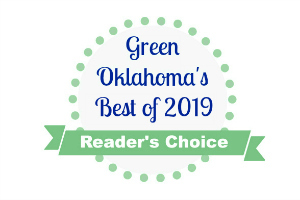 If you would like to be a regular contributor please email us at gogreenokla@gmail.com and please include a sample of your work. Enjoy making videos? Want to help make Oklahoma greener? We would love for you to join our site. Email us at gogreenokla@gmail.com for more information. Enjoy editing and want to help Green Oklahoma? We need editors to help proofread articles, press releases, and more. Email us at gogreenokla@gmail.com for more information.